Sakai Guides and DocumentationSakai Complete User Guide ForumsHow do I delete a forum? Select Delete Forum from the More drop-down menu. Zoom: Select Delete Forum from the drop-down menu. 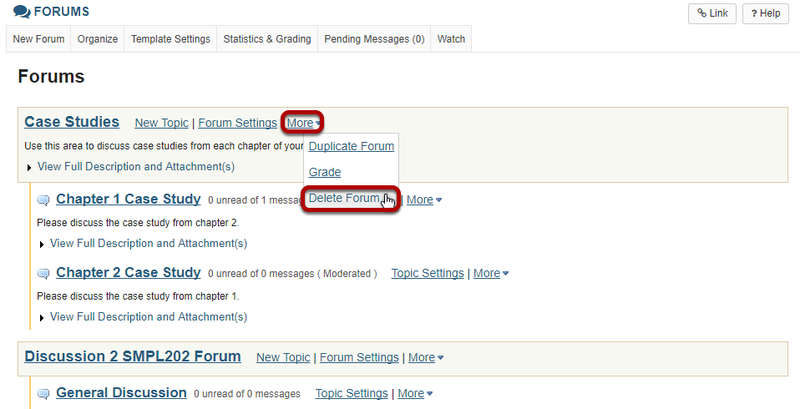 You can also click Forum Settings next to the forum you want to delete. Prev: How do I delete a topic? Next: How do I modify forum template settings?